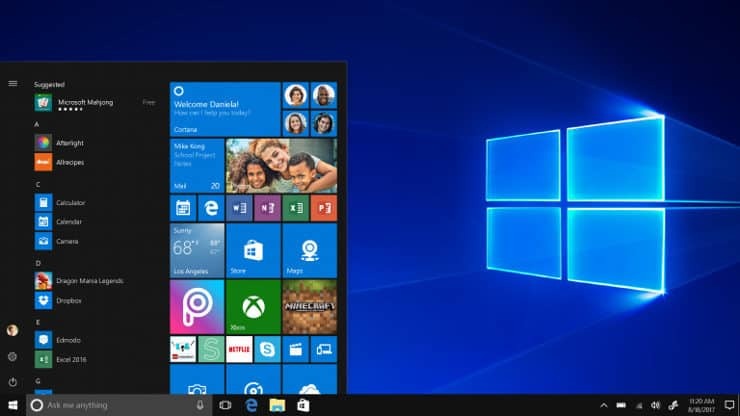 Windows 10 brought all sorts of amazing features, but despite all its new features and improvements, there are certain issues that can happen from time to time. One of the errors that users are getting is The server stumbled The error code is 0x80072F05, so let’s explore and see how to fix this issue. 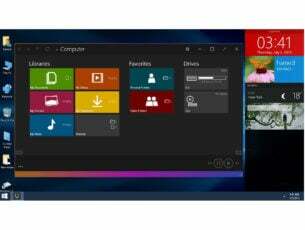 80072ee7 Windows 10 Store – Many users reported 80072ee7 error while using Windows Store. However, you should be able to fix it by using one of our solutions. Windows Store cache may be damaged – Sometimes this error can appear if your Windows Store cache is damaged. However, you can fix the problem by simply deleting the cache manually. The server stumbled page could not be loaded – This is another variation of this error, and if you encounter it, be sure to try disabling your antivirus and check if that helps. The server stumbled 0x8000ffff – Sometimes this error code can appear while trying to use Windows Store. If that happens, try disabling your proxy and check if that helps. Windows 10 Store cannot connect to server – If you’re having this problem, you might want to try re-registering your Windows Store apps. Several users reported that this solution worked for them, so be sure to try it out. Server stumbled Windows Store – This is a relatively common problem with Windows Store, and to fix it, be sure to check if the necessary services are running. This error usually occurs when you try to access Windows Store, but there are several solutions available. The first thing that you need to know about this issue is that sometimes there can be internal issues with Windows Store, so the best solution is to wait a while and refresh the page to see if the issue is resolved. In addition, it’s always good to keep your Windows up to date, because updates offer fixes to such internal issues. Also if you’re having issues with Windows Store you might want to temporarily disable your antivirus and try again. Using an antivirus is important if you want to protect your PC from malware. However, sometimes your antivirus settings can interfere with your network connection causing The server stumbled error to appear. To fix this problem, it’s recommended to check your antivirus settings and disable any setting that might interfere with your network connection. Avast users reported that they had to enable Internet Sharing Mode in Firewall settings in order to fix this problem, so be sure to do that. If you can’t find this feature, or if the problem still persists, you might want to consider switching to a different antivirus solution. There are many great antivirus solutions on the market, but currently, the best are Bitdefender, BullGuard and Panda Antivirus, so if you’re having this problem, we encourage you to replace your antivirus with any of these tools and check if that solves the problem. This sounds a bit simple, but sometimes if for some reason your time and date aren’t correct Windows Store will give you this error, so the simplest solution is just to check your time and date and see if it’s correct. Many users reported that this solution worked for them, so we strongly encourage you to try it out. 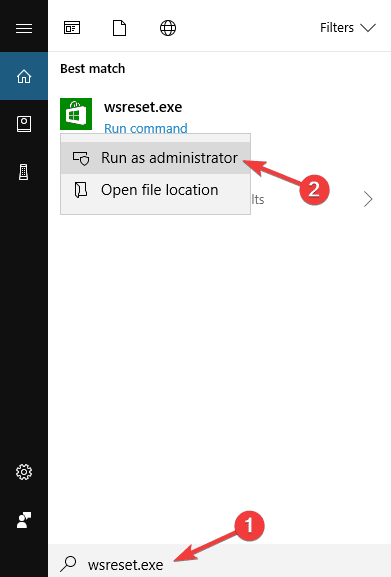 In the Search bar type WSReset.exe and run it as administrator by right clicking it and choosing Run as administrator. Windows Store will open and you’ll get a message saying The cache for the Store was cleared. You can now browse the Store for apps. After clearing the cache, check if the problem is resolved. 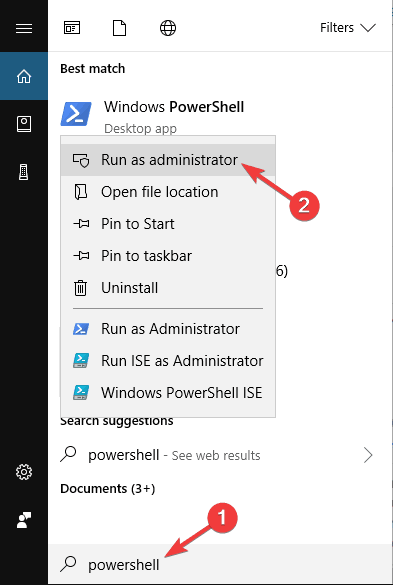 In the Search bar type Powershell and select Windows PowerShell from the list, right click it, and choose Run as administrator. Your computer will restart when the process is finished. Open the Settings app. 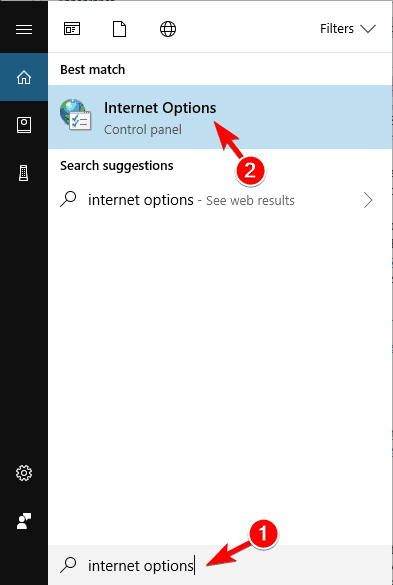 You can do that quickly by pressing Windows Key + I shortcut. 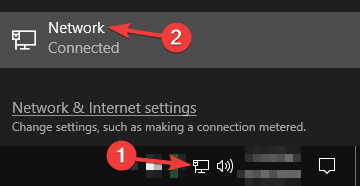 When Settings app opens, go to Network & Internet. 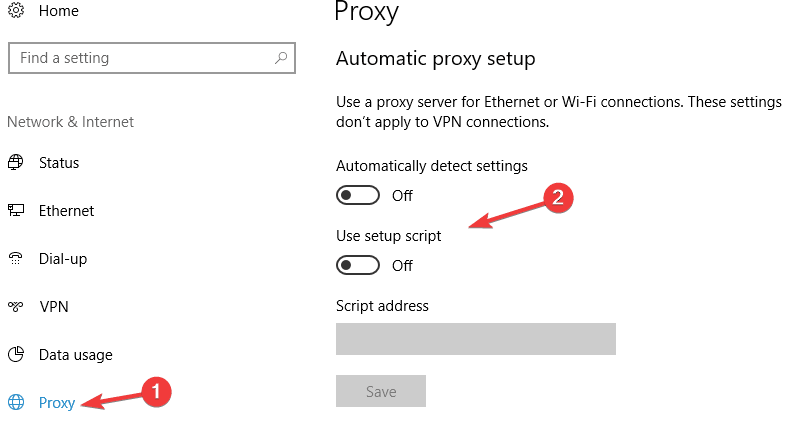 In the menu on the left, select Proxy and in the right pane disable all options. After doing that, check if the problem is resolved. If you still want to protect your privacy online, you might want to consider using VPN instead of proxy. There are many great VPN applications available on the market, but CyberGhost VPN offers the best protection, and it won’t interfere with Windows Store like proxy does, so be sure to try it out. If you’re getting The server stumbled error message while trying to use Windows Store, the problem might be your services. 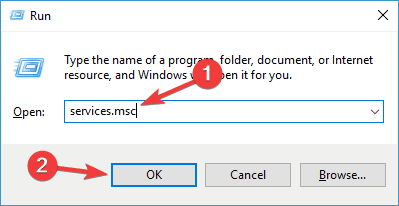 Windows Store requires certain services in order to run properly, and if one or more services aren’t running, you might encounter this error. Press Windows Key + R and enter services.msc. Now press Enter or click OK. List of the services will appear. 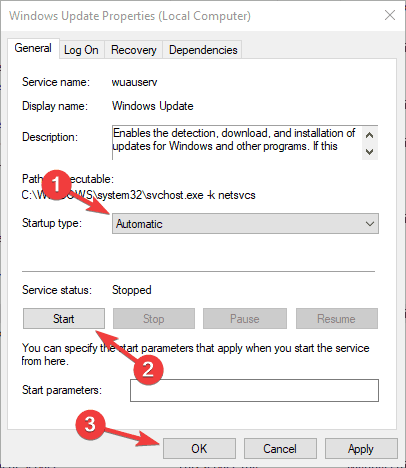 Locate Windows Update service and double click it to open its properties. Set the Startup type to Automatic or Automatic (Delayed Start) and click Start to start the service. Now click on Apply and OK to save changes. Optional: Repeat the previous step for Security Center service as well. After enabling both services, the problem should be resolved and you’ll be able to use Windows Store without any problems. Many users reported that this solution solved the problem for them, so we encourage you to try it out. Right click the network button in the bottom right corner and choose your network from the menu. 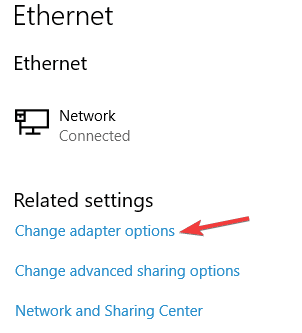 Now select Change adapter options. Available networks will appear. 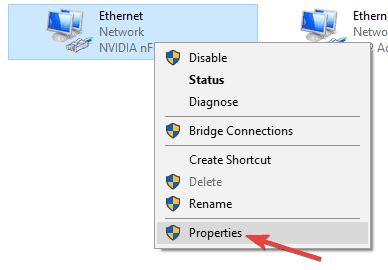 Right click your current network and choose Properties from the menu. 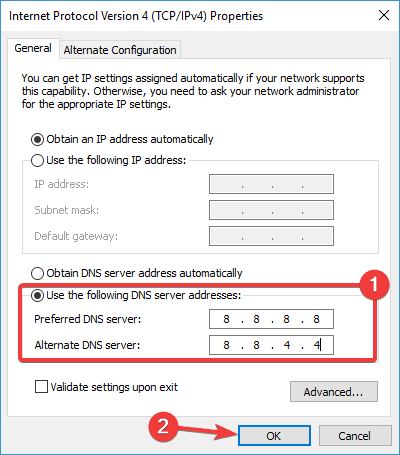 Select Use the following DNS server addresses and set Preferred DNS server to 8.8.8.8 and Alternate DNS server to 8.8.4.4. Click on OK to save changes. After doing that, check if the problem is resolved. 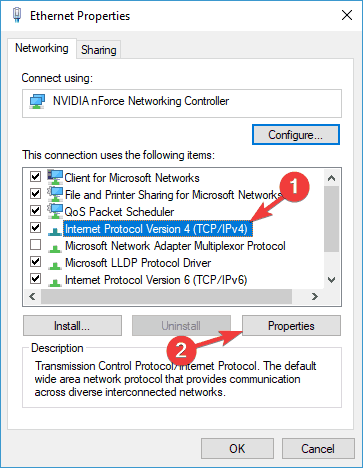 Keep in mind that your Internet connection might be a bit slower after switching to Google’s DNS, but the problem with Microsoft Store should be resolved completely. 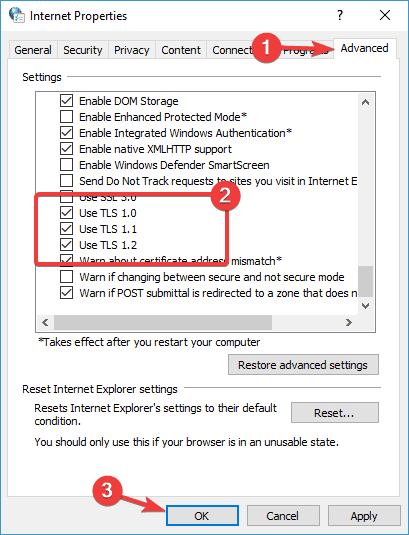 When Internet Properties window opens, go to Advanced tab and check Use TLS 1.0, Use TLS 1.1, and Use TLS 1.2. Now click on Apply and OK to save changes. These three options should be enabled by default, but they can become disabled for various reasons. After enabling them, the issue should be resolved. Many users reported that this solution worked for them, so be sure to try it out. 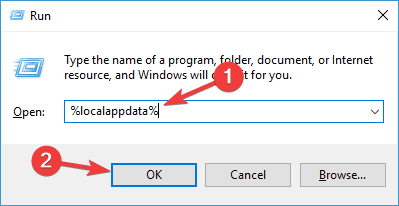 Press Windows Key + R and enter %localappdata%. Now press Enter or click OK.
Navigate to Packages\Microsoft.WindowsStore_8wekyb3d8bbwe\LocalCache directory and delete all files from it. 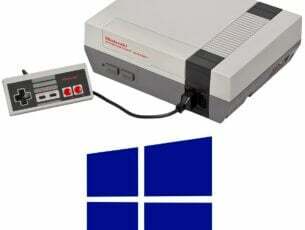 After doing that, you should be able to use Windows Store without any problems. That would be all, I hope at least one of these solutions helped you to solve this error message. Also, if you have any other problems in Windows 10, check out our Windows 10 Fix section, and maybe you’ll find the solution.